If there is one time of year when you would like to be able to make a bit of extra money, it is certainly in the weeks leading up to the holiday season. For most people, the holidays are the most expensive time of year. Between buying presents, going out for dinners, traveling to see family, and more, the bills around the holidays can certainly add up in a hurry. To get a jump on this costly season, you should start to think now about how you can make a little bit of extra money to help keep yourself on budget. Consider each of the 4 ideas below and use the ones that are best suited to your situation so you can make money quickly for the holidays. Look around your house – is there stuff in your home just taking up space? Almost certainly, the answer to this question is ‘yes’. If that is the case, consider selling some of this stuff online in order to raise money that can be used during the holidays. Not only is this plan good for making some extra money on a temporary basis, but it will also help you declutter your house. Even if you don’t think that you have anything worth much money, take a look around anyway. You just might be surprised at what you will find. Often, the best place to look for more money is the place that already supplies you with your income. Ask your boss/supervisor if you can pick up some additional hours in advance of the holiday season. Working a few extra hours per week might not seem like much when you are already used to working 40 or more hours, but the difference on your paycheck will be noticeable. Of course, while you are asking for additional hours, you could also ask for a raise. That would be even better! With the busy holiday season closing in, many retailers and other businesses will be hiring workers on a part-time basis to fill in the gaps. If you have a schedule with your regular job that allows you to work a part-time job as well (such as picking up hours on weekend days), you could use this method to make some extra money. Look around your local community for part-time work offers so you don’t have to drive too far in order to earn some additional holiday income. This is an idea that won’t be feasible for everyone, but it can work nicely in the right situation. If you are handy around the house and have neighbors who could use some help, you may be able to pick up a bit of extra money by offering your services. For instance, you could offer to put up Christmas lights, shovel snow, rake leaves, or any other task that a homeowner may be willing to pay you to do. In addition to making money, this idea is something that can serve to strengthen your ties with the neighborhood, which is always a good thing. 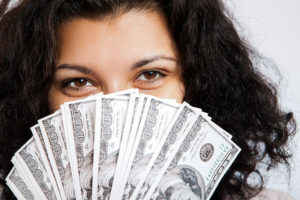 Have you used any of these ideas to make money quickly? What other ideas can you think of to make money quickly? A part-time job is really a good way to earn some extra cash. Aside from my regular job, I work on my side hustles such as internet marketing and website creation. For those looking for a side hustle, there are lots of jobs online. You just have to search and look for the best one that matches your skill set.